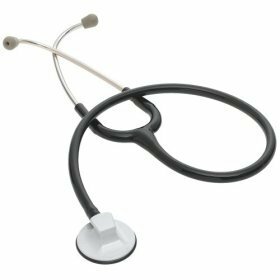 The Littmann Select Stethoscope is a low-priced, general stethoscope with some high-quality features. This go-to stethoscope is perfect for general assessments and blood pressure readings. As a diagnostic tool, the Select is invaluable. It provides clear acoustics and features a comfortable headpiece. Overall, this may be the ideal stethoscope for anyone performing general diagnoses on a variety of adult patients. The Select is ideal for nurses, students, and doctors. It features a single-sided chest piece that’s both affordable and portable. This convenient stethoscope features colorful tubing, that’s made of latex and easily folded up for pocket storage. Although it can be folded tightly, the Select is quite resilient, with no reviewers claiming of breakage after long-term storage. The Select is recommended only for limited physical assessment, but it is capable of listening to the heart, lungs, and other body sounds. It’s capable of switching from bell to diaphragm modes, simply by adding a small amount of pressure. There is no need to turn the stethoscope over, when performing same-site auscultation. 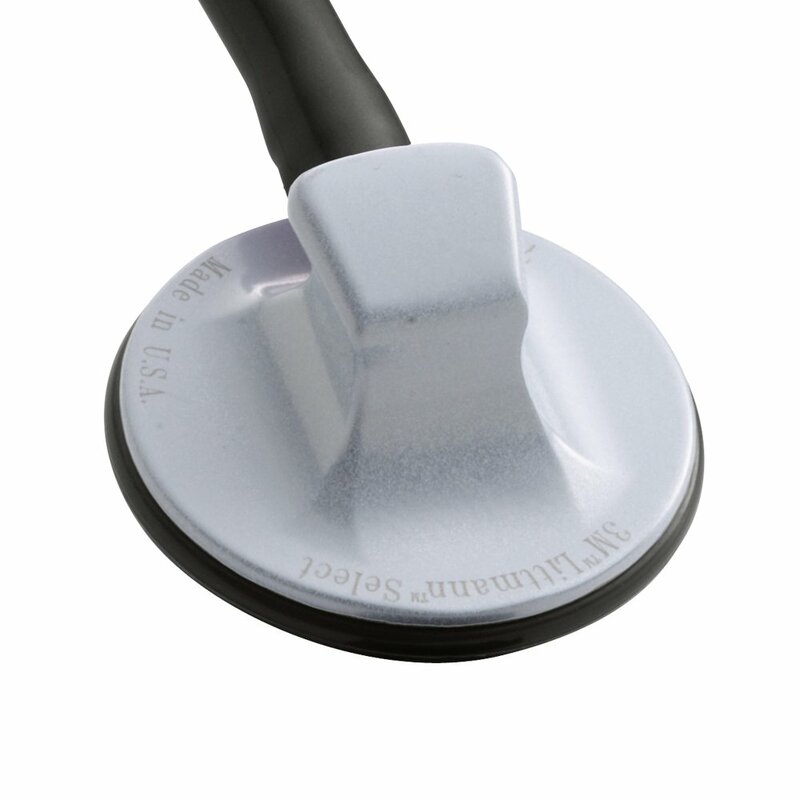 The Select features Littmann’s patented Snap Tight Soft-Sealing Eartips. These eartips are not only comfortable, but also improve the acoustic seal, ensuring that the listener doesn’t miss a beat. The patient will also experience unrivaled comfort. The chest piece features a non-chilling rim and diaphragm. The chest piece is coated in alloy, to ensure it lasts for years to come. The Littmann Select Stethoscope is very different than a number of other Littmann options. Primarily, the Select is different because it’s designed for general use. Other Littmann options are designed for specific use, like the ones designed for children and teaching. The Select doesn’t demand a specific patient, but instead can be used on adults of all shapes and sizes. Being that the Select is so easily stored in one’s pocket, some users have expressed that this is an easier scope to steal. These users recommend picking a color you’re certain others won’t also choose. This should help cut down on any accidental theft that may be occurring. Overall, the Select is a low-priced stethoscope capable of performing basic physical assessments and taking blood-pressure. Nurses and doctors alike will appreciate the ease with which this stethoscope slips into one’s pocket, sitting there comfortably until it’s needed again. Moreover, this stethoscope is capable of taking a sophisticated reading, providing its users with above-average acoustics.